Base Gradeare made from 100% polyester, which shows some wear and tear after one or two usages. Made with a jute backing that leaves latex on mats after using, also known as delamination. 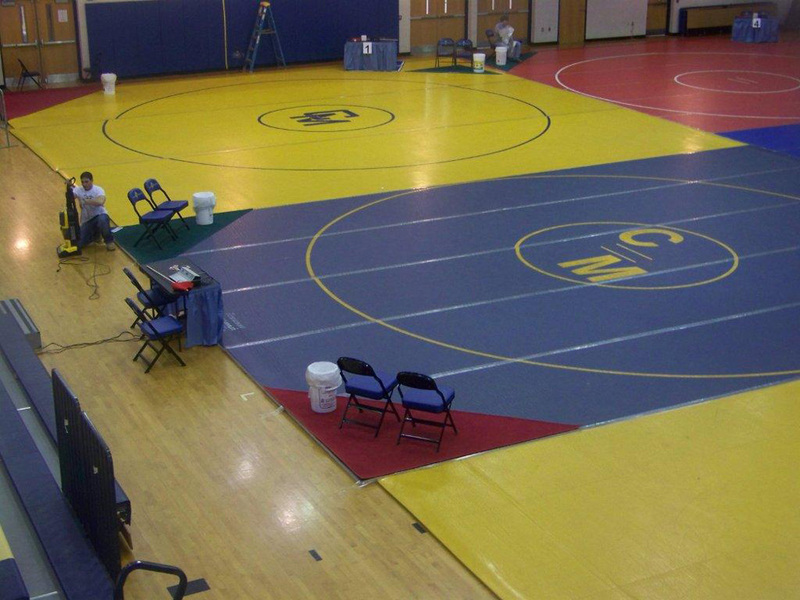 This is the same products as competitors except we top-spray our basic grade corner rugs with a MRSA/Staph killer. Each set contain one green rug and one red rug. 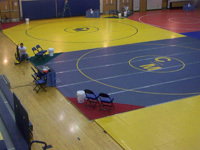 For free style wrestling we deliver red and blue wrestling rugs. 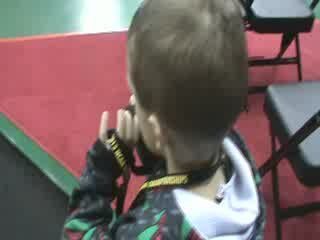 Let fans know what coaches are with what kids. 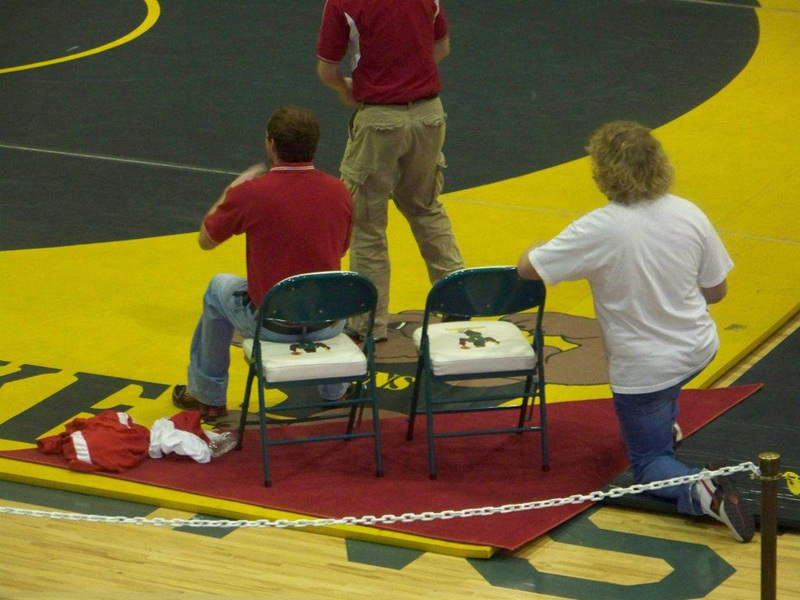 Wrestlers can wipe their shoes on them to keep wrestling world clean. Adds instant class to your event. We also spray on our rugs, that fights mersa, ring worms and other bacteria. 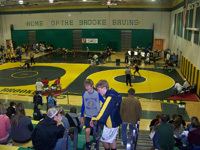 Wrestling corner rugs are delivered in a set. of 7 feet and 6 inches triangle. We can also stitch your team logo on the wrestling corner rugs if you want, all we need is a jpeg cost depends on detail of logo and size.